It takes a lot of guts to stand up to The First Order—those guys are scary. They have a legion of well-trained Stormtroopers, an endless supply of TIE Fighters and Kylo Ren as a commander. We'd probably pull a Han Solo and high tail it out of there if we were against those kind of odds! That doesn’t faze Poe Dameron though. He jumps right into the middle of danger to make sure that The First Order doesn’t reign in the entire galaxy under its thumb. 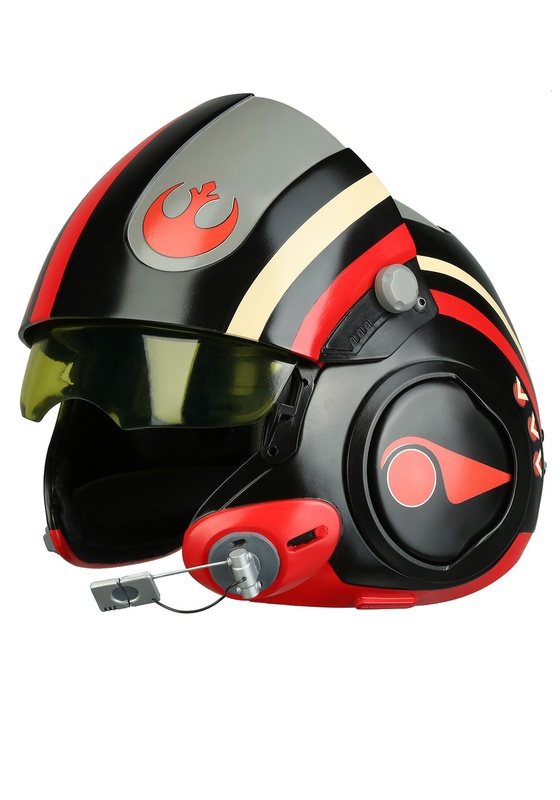 If you want to protect the free people of the Republic, then you’re going to have to muster up all the courage you can and toss on your X-Wing Fighter Pilot helmet so you can get to work, just like Poe Dameron. You’re going to need some serious Star Wars headgear to steel your resolve! 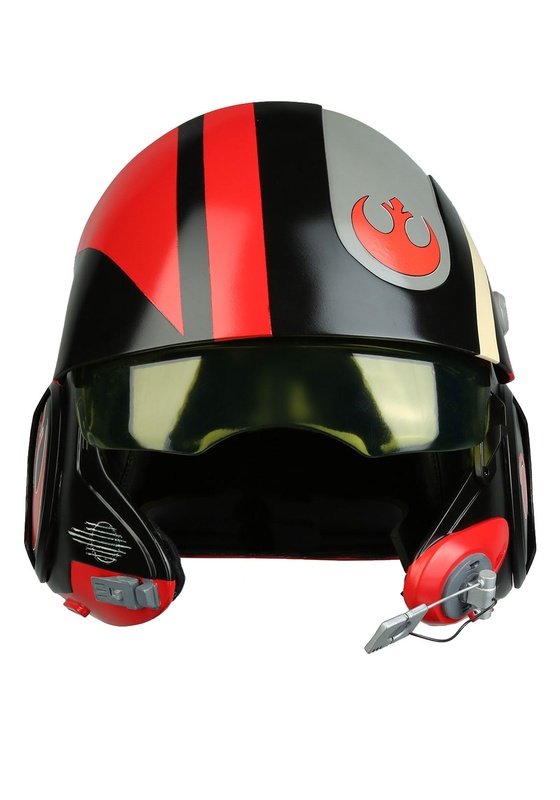 This Star Wars: The Force Awakens Black Squadron Helmet is a high quality replica of the helmet worn by Poe Dameron in the film. It has the black and red paint job from the movie and it even incorporates the Resistance symbol on the top. 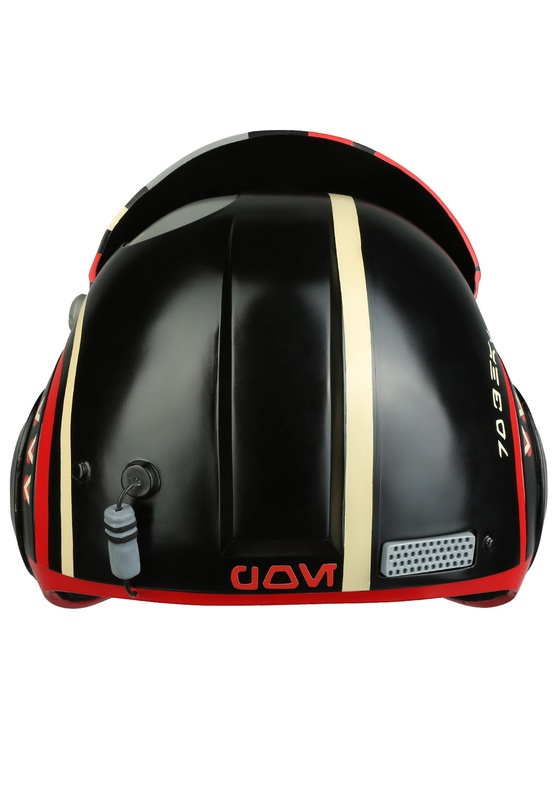 It’s made by Anovos, the company known for high quality Star Wars replicas! 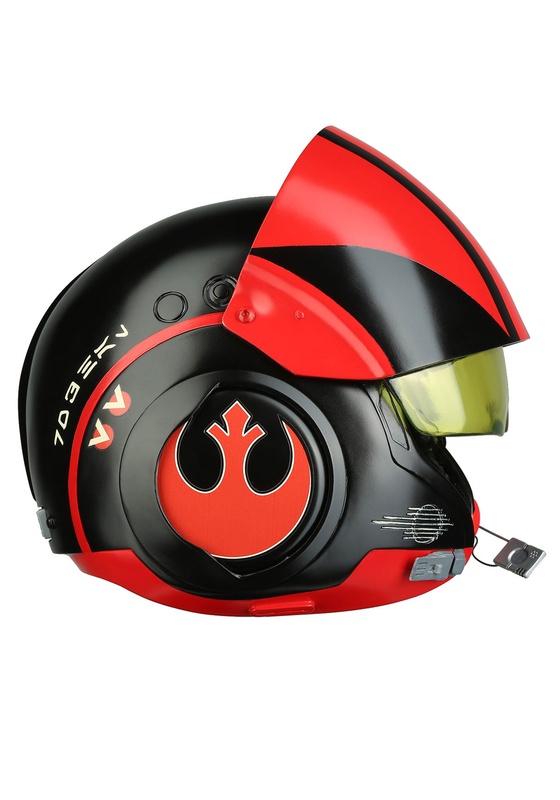 You can wear it in your car as you pretend that you're an ace X-Wing pilot, or just display it on your shelf with the rest of your collection.